For decades on end, the plant handling sector has grappled with an intensive use of labour: the bare-handed, naked-eyed counting of germinated seeds. In the sector it is not uncommon for larger companies to have up to four employees counting produce, day in, day out. 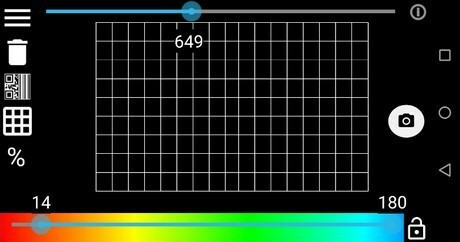 The app comes with a wide array of functionalities, two operational modes, and integrates TTA’s extensive experience with the development of vision applications in machinery. 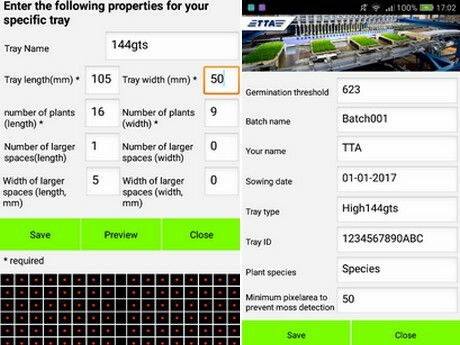 In the first mode, the operator enters a grid’s setup – length and width – and based on a picture taken exactly above a tray, the app calculates the tray’s germination rate. Capitalising on the sector’s use of barcodes and QR codes, the app is also able to scan a bar- or QR code, and tie all related information to this code. 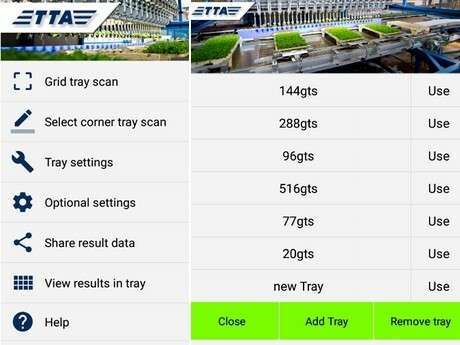 When finished, the information collected for a particular code can be shared as Excel spreadsheet that includes colour settings, pixel settings, and germination rates.